Posted on Saturday, November 8th, 2014 at 5:16 am. Is it too soon to ask for fights in 2015? This year has not been the greatest for boxing. At least it has not been as good as 2013 when great match up were broadcast not only on PPV but on regular HBO and Showtime. With arguably two more big events happening in what is left in 2014 with one this Saturday night in Hopkins vs Kovalev and the other on November 22nd from Macau, China, when we get Pacquiao vs Algieri, it’s time to look forward to the next year and what we want to see. Miguel Cotto vs Saul Alvarez – What has all the marking of not only an early candidate for fight of the year but also the event of the year is supposedly already in talks. They won’t be easy as Cotto has a history of being difficult and Alvarez might think he is worth more than he actually is. If the fight goes down as planned in May except for a tetanic shift in boxing to happen with Mayweather Jr outside looking in. Jhonny Gonzalez vs Nicholas Walters – Both are champions and hard hitters. Neither one are from the United States or have a large audience but the unification fight would be perfect at the StubHub Center where both fighters put on impressive performances. Gonzalez knocked out Abner Mares there and Nicholas Walters just stopped Nonito Donaire last month. This fight guarantees fireworks and an early night for one of these men. Julio Cesar Chavez vs Carl Froch – Chavez Jr just announced that signed with Al Haymon and is planning to getting back in the ring soon. Chavez Jr says he plans in fighting three times in 2015 and has his sights on the “Cobra”. This fight was planned for the end of this year but with Chavez Jr’s issues with Top Rank it did not happen. Chavez Jr wants to make history and facing Carl Froch at super middleweight is a good step in that direction. Mikey Garcia vs Yuriorkis Gamboa – Another one with issues with Top Rank is former two-divisional champion Garcia who recently announced that he would be moving up in weight and vacating his WBO title. No word yet when Garcia might lace up the gloves again but Gamboa, after losing to Terrence Crawford, comes back this month in Mexico. A title fight at lightweight would be the perfect vehicle for one of these men to get back to boxing’s good graces. 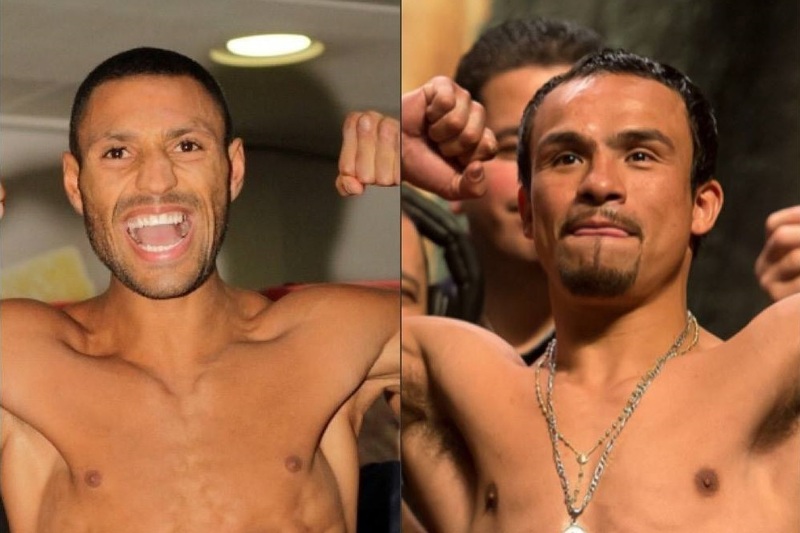 Kell Brook vs Juan Manuel Marquez – This could be a history making fight. Marquez is looking for that a-elusive fifth title in as many divisions and Brook, who just captured the IBF welterweight title when he defeated Shawn Porter, is more than willing to give him the opportunity. Marquez might just have the style to defeat the speedy Brook but it’s more of a matter of economics since Brook wants the fight in England and Marquez would rather stay on this hemisphere. WHO SHOULD MARQUEZ FIGHT NEXT IF ANY?